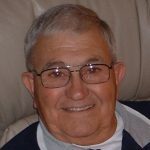 Anthony E. “Spaggs” Landi, 92 of Plains Township, passed away Sunday evening, November 25, 2018 at the Wilkes-Barre General Hospital. Born in Plains, he was the son of the late Alfonso and Irene (Angiolillo) Landi. Spaggs attended Plains Township schools and was an Army Veteran of World War II, attaining the rank of corporal. After his Honorable Discharge from active service, he was employed as a shoe laster at Central Slipper, Inc., Wilkes-Barre. 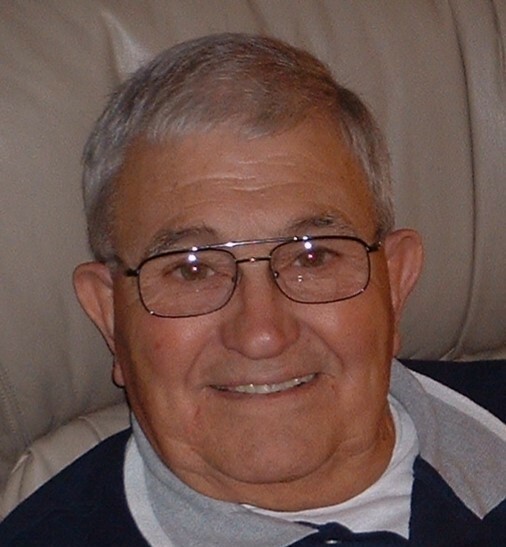 He was a lifelong member of Sacred Heart Church, Plains, until it closure and merger, and a current member of Saints Peter & Paul Church, Plains, the Plains American Legion, Joseph E. Conlon, Post 558, and member of the former Friendship Club of Plains. He was preceded in death by his wife of 52 years, the former Margaret J. Skupen in March 2001, brothers Joseph and Edward Landi, and sister Louise Landi. Surviving are his children Tony Landi (Patricia), Ann Marie Rodano and her husband Joseph, Michelle Chismar and her husband Joseph, and Edward Landi and his wife Melody, all of Plains, grandchildren Mark Landi, Joseph Rodano, Stephanie Ference, Tiffany and Edward Landi, and Alexa and Dylan Chismar, great-grandchildren Kayla and Kylie Landi, Rafael Ference, and Brody Landi. Funeral will be held Friday, November 30, 2018 at 9:30 am at the Corcoran Funeral Home, Inc., 20 South Main Street, Plains, PA 18705, with a Mass of Christian Burial at 10:00 am at Saints Peter & Paul Church, 13 Hudson Road, Plains, with Father John C. Lambert, Pastor, officiating. Interment with Military Honors accorded by the United States Army and the Plains American Legion Military Funeral Detail will be held in Memorial Shrine Burial Park, Carverton section of Wyoming. Family and friends may call Thursday evening from 6:00 to 8:00 pm at the funeral home. Memorial donations may be made to Saints Peter & Paul Food Pantry, C/O 13 Hudson Road, Plains, PA 18705.